There are so many secrets that lie beneath the obvious beauties of the Ionian island of Zakynthos. 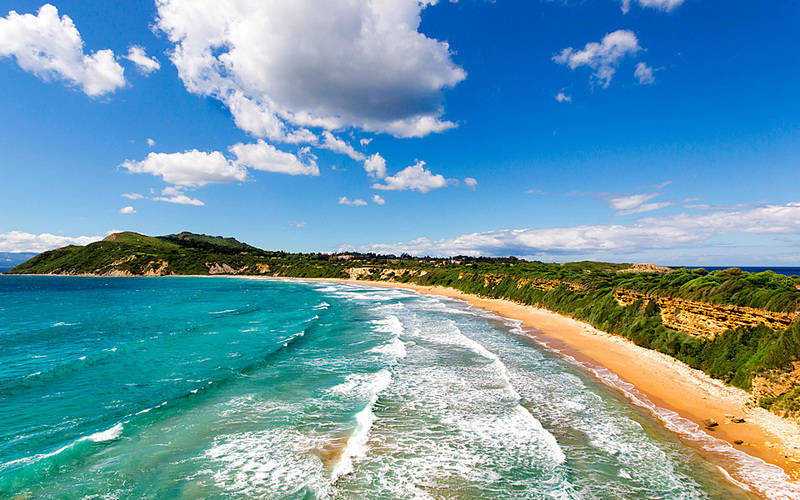 If beach quality ranks high on your vacation wish list, then you will find yourself spoilt for choice in Zakynthos where knock-out sandy seashores regularly feature on international beach lists. 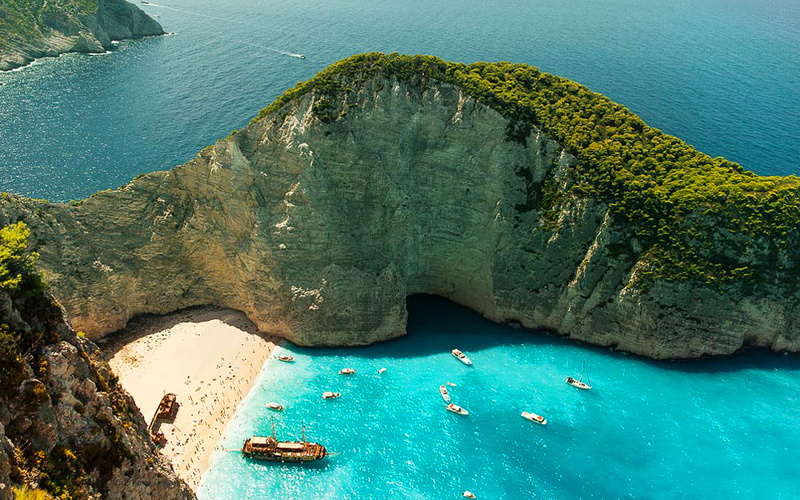 The Iconic Navagio (Shipwreck) Beach, with its rusty rising from the powdery white sand, creates a color contrast made even more dramatic by the limestone cliffs and turquoise sea. While hard-to-reach Navagio on the northwestern part of the island is ideal for base-jumping enthusiasts, families with children may want to steer clear as it isn’t serviced, and choppy seas surround it. Gerakas, 18km south of Zakynthos town, has pristine sand that slopes gently into the sea making it ideal for children. The vast sandy beach offers a sense of seclusion, however watersports are limited so as not to disturb the Caretta Caretta turtles that nest here. Laganas beach, known for its wild nights of partying has also cordoned off the part of the beach that belongs to the National Marine Park to avoid disturbing the endangered loggerhead turtles. Swim here, and enjoy the currents creating pockets of hot and cold ripples massaging your skin. St. Nicholas, Alykes and Tsilivi (where the island’s waterpark is located) are ideal for watersports from flyboarding to parachuting. Apart from your run-of-the-mill beach thrills, Zakynthos is the birthplace of the subwing craze that was invented by Norwegian teenager Simon Sivertsen while on vacation at the Peligoni Club at St. Nicholas. Inspired by the clarity of the water on the island, he used banana boxes to create a device that pulls people underwater with a rotatable swivel so that they feel like they’re dolphins. For many, the main lure to the island is the chance to see the endangered Caretta Caretta sea turtles up close. 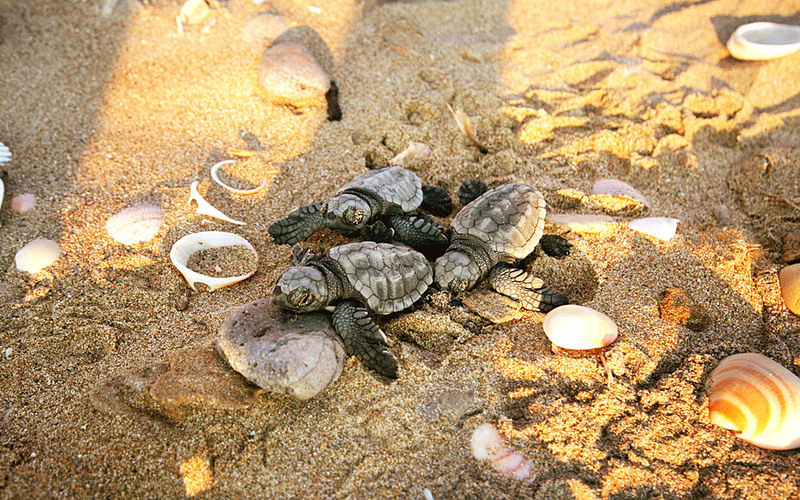 Join the enthusiastic volunteers of the Sea Turtle Protection Society of Greece, Archelon, doing beach rounds at dawn each morning and you may get a chance to see eggs hatch. Only one out of every 1,000 hatchlings make it to adulthood, with many losing their orientation due to nearby beach bar lights, getting snapped up by predators or choking on plastic bags. 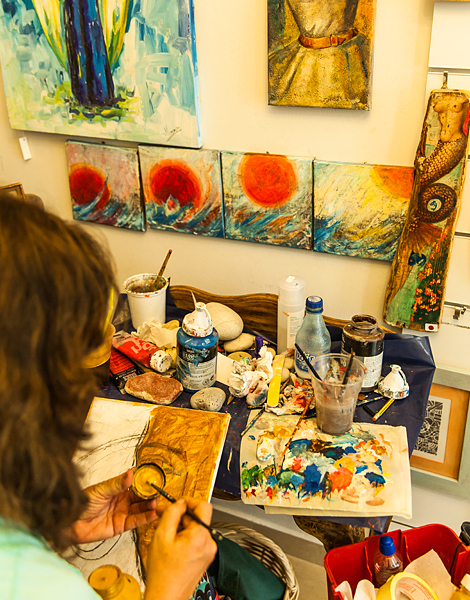 Find out all you need to know about the exquisite turtles by visiting the Turtle Museum at Daphne. The Zakynthos Marine Park protects nesting beaches (Gerakas, Daphne, Sekania, Kalamaki, Laganas, Marathonissi) as well as the wetlands of Keri Lake where migrating birds gather and the small islands of Strofadia. Other endangered creatures include the Mediterranean Monk Seal Monachus Monachus as well as dolphins that sometimes swim by boats, enjoying their interaction with people. Zakynthos is abundant with nature. The Venetians didn’t nickname the lush island “Il fiore di Levante” (Flower of the East) for nothing. Meadows carpeted with chicories, daisies and poppies as well as many other varieties of flowers create hues of color and fragrance throughout the year. Apart from the towns that burst with cherry-red bougainvillea, there are wild herbs growing on the fertile countryside and numerous trees where passers-by can pluck figs, olives or whatever other produce their heart desires in this paradise. Visit Askos Stone Park that has more than 200,000 trees, plants and shrubs that are endemic to the island or familiarize yourself with the natural heritage of the island by visiting Helmi’s Natural History Museum. The islanders place great importance on the quality of their ingredients. 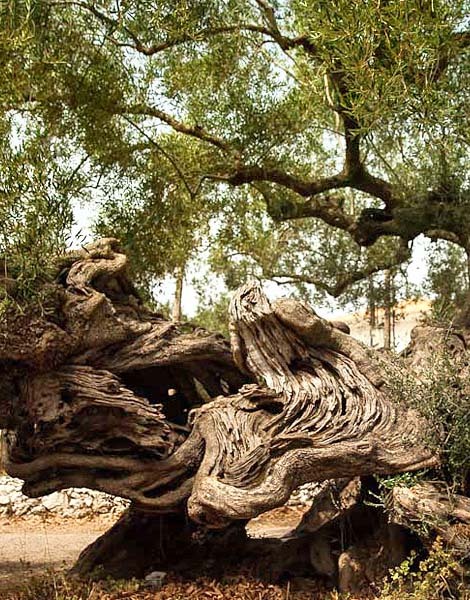 Olive trees are plentiful, having doubled in recent years, with the island best known for its ‘dopia’ olive trees, many of them around 2,000 years old. The old ‘elephant tree’ at the center of Exohora – a small town in the middle of nowhere – has become something of a tourist attraction. Locals are amused by the wandering travelers who manage to find it and reward them with a story, or a slice of ladotyri, a hard table cheese made from goat’s milk and stored in olive oil so that it has a distinctive salty taste. 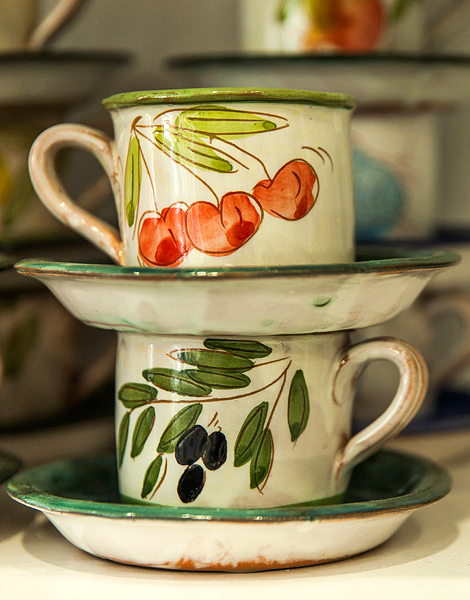 Visit the Aristeon Ecological Olive Press, a museum where visitors can learn all there is about the local olive oil, while also getting the chance to pick olives and press their own oil during “liotrivi” – olive oil picking season in Fall. 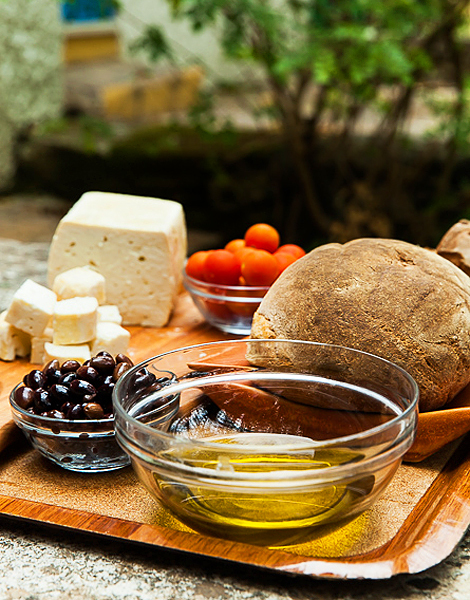 The island’s cuisine is oil-based and draws on traditional Greek recipes with a twist. Eat at one of the family-run tavernas and try the Zakynthos-inspired stuffed rabbit, papatoli (veal shank) and sofigadoura (a Zakynthos take on beef stew in tomato sauce). Wash it all down with one of the local wines, such as the Venetian-influenced Verdea. Honey-based desserts such as pasteli with sesame seeds and mantolato using egg-whites and almonds are popular on the island. Mantolato in particular was brought over by the Venetians and passed down through the generations. It is traditionally eaten during engagement ceremonies and its quality is discerned by whether it breaks like glass and has a clean, white color. Also try fytoura (pan-fried semolina cake) that is traditionally served at feasts. 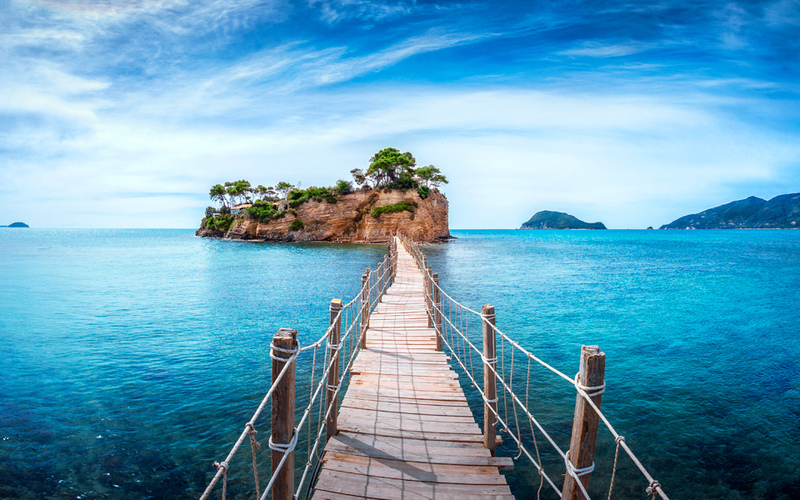 Christianity was brought to Zakynthos by Maria Magdalene in 34 AD, who spread the word of God on her way to Rome. The patron saint of the island, however, is Zakynthos-born Saint Dionysos. The church built in his honor has an identical bell-tower to that of Saint Mark’s Cathedral in Venice. Built in 1708, the church hosts the relics of Saint Dionysos, who is the saint of forgiveness after having excused his own brother’s murderer. The feast of Saint Dionysos is celebrated twice a year on August 24 and December 17. His relics are paraded through Zakynthos’ town in a silver reliquary created by Gregorios Diamadis Bafas in 1829. The procession is followed by a fireworks display and plenty of dancing. 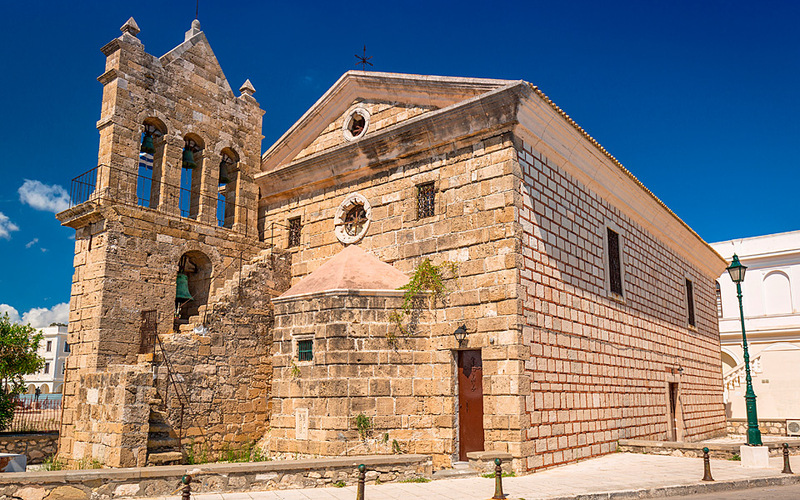 There is no shortage of churches on the island, from the miniscule St. Elipsos Church that looks as though it is embedded into the rock to the huge Virgin Eleftherotria Monastery that rises from the plains like a religious Disneyland of sorts. Prayer and penance are plentiful, usually matched with exquisite frescoes and culture. The Ancient Greek myth says that Apollo sang, accompanied by his lyre and attendants, because he was inspired by the island’s beauty. The link between the sun and music god and the island has never waned, with inspiration oozing from the works of famous Zakynthians, such as hagiographer Nikolaos Doxaras (whose works adorn the arch of Panagia Faneromeni), poets Andreas Kalvos and George Tertsetis, painters Nikolaos Koutouzis and Nikolaos Kantounis and writers like Gregory Xenopoulos. 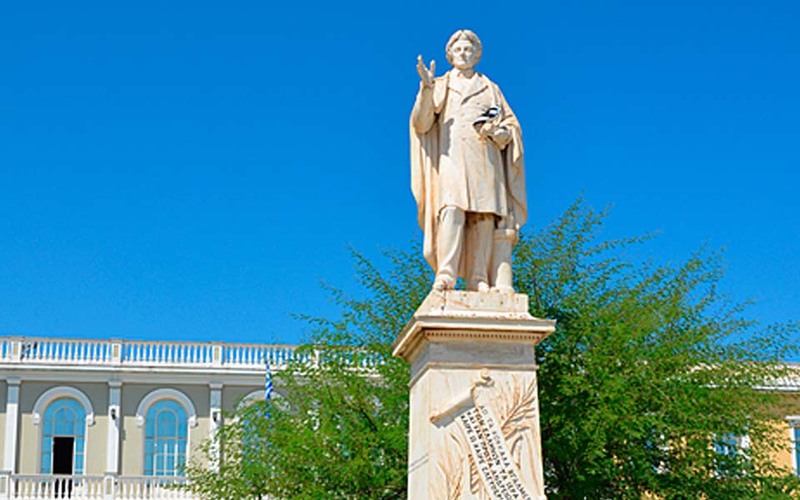 Dionysis Solomos, the famous Zakynthian poet, sat on the slopes of Strani Hill overlooking Zante Town in 1823 when he wrote his “Ode to Liberty” which later became the national anthem of Greece. Apart from the Zakynthos International Airport that bears his name, there is a museum in his honor at the main town. The people of this island are proud of their artistic heritage and break into a traditional kantada serenade at every opportunity. You’re sure to be serenaded at a tavern during the course of your visit. Chatting with these warm and friendly people is sheer joy as they seem to have found the balance between tradition and progress in their own unique way. By bus | Catch the KTEL bus for Athens-Zakynthos. Tickets cost €37.45 (includes ferry). 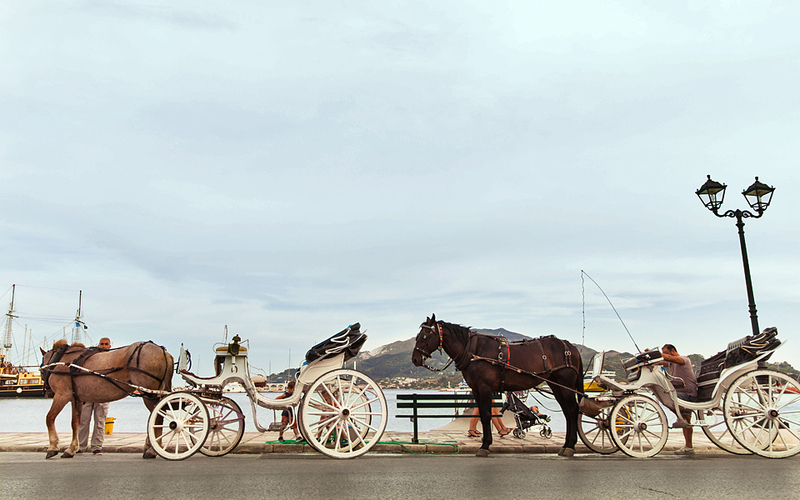 By ferry | Five daily departures to and from Zakynthos from the port of Killini (accessible from port of Patras by bus). The trip takes an hour. By train | There are two trains daily from Athens to Patras. From there you can take a bus to Killini and go to the island by ferry. By plane | Daily Athens-Zakynthos flights take 55 minutes. 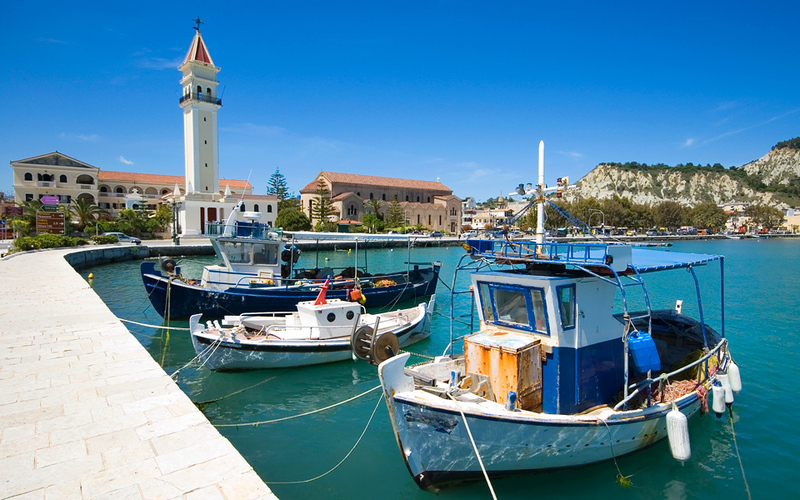 In summer, additional low-cost flights can take you directly to Zakynthos from other airports around the world. Buses are a cheap and comfortable way of traveling within the island. There’s no direct bus between Zakynthos Town and the local airport; a taxi costs around €12. Within Zakynthos, frequent buses go from Zakynthos Town’s bus station (KTEL) to the developed resorts of Alikes, Tsilivi, Argasi, Laganas and Kalamaki (all €1.60). Several useful local buses take the upper or lower main roads to Katastari (€3) and Volimes (€3.40). Bus services to other villages are infrequent, tel. (+30) 210.512.9432.